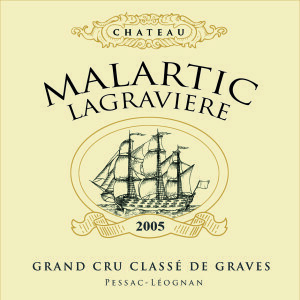 Château Malartic-Lagravière makes excellent wine, white and red, with plenty of bite in a modern style. This historic property was bought in 1996 by Michele and Alfred-Alexander Bonnie. An estate to follow. Vineyard/Terroir: 53 hectares [46 hectares of red varieties and 7 hectares white] planted on gravel with a clay subsoil. Red varieties comprise 45% Cabernet Sauvignon, 45% Merlot, 8% Cabernet Franc and 2% Petit Verdot. White varieties comprise 80% Sauvignon Blanc and 20% Sémillon. 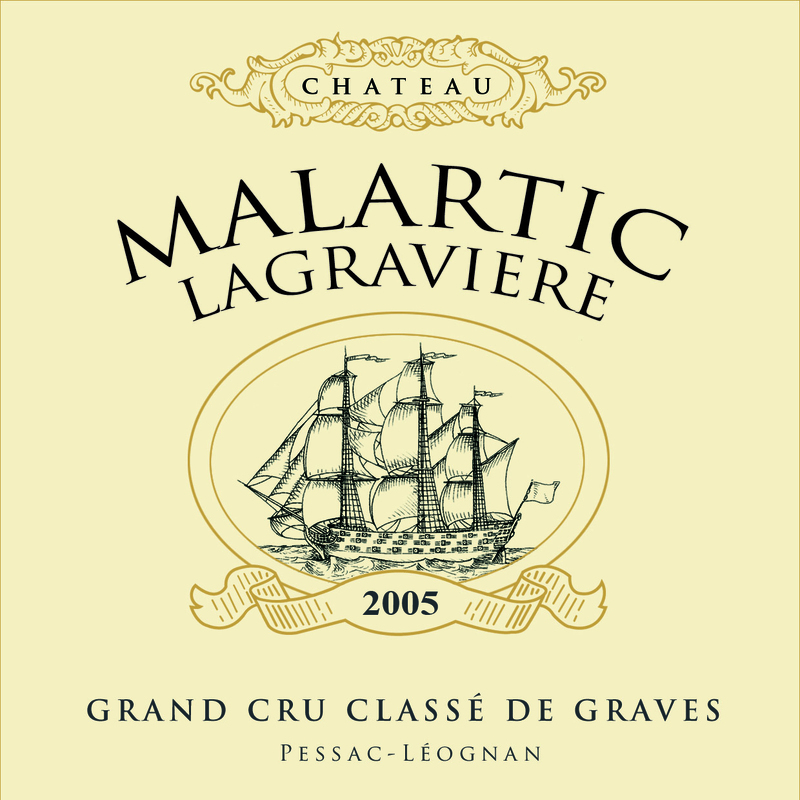 Winemaking/Elévage: Traditional winemaking, the reds get 50-70% oak treatment depending on the vintage. Michel Rolland and Athanase Fakorellis consult. 2010 Pale straw; clean, some leesy notes; feels a bit dumb at present; palate full with breadth and depth; sizable; spicy flavours; good length. A bit in it’s shell but shows promise. Less showy than I’d imagined. [85% Sauvignon Blanc, 15% Sémillon] 90+ [Earlier] Pale straw; grass, fresh, little warm ferment note; wax and lees on the palate; should develop well. Nice balance and freshness. Very good and moreish on the palate. Potentially really excellent 92-94/100 [85% Sauvignon Blanc, 15% Sémillon] Tasted 6 April 2011 UGC. 2009 Pale silver/gold; appetizing nose; not overt but with wax, citrus notes and class; waxy palate; nice bold style; full again, spicy tones, this is very good and will age well over next 5 years. 91-92+/100 [Earlier] Fresh apples and citrus flavours; clean and some roundness to palate and candy and fruit; attractive with some bite 88+/100 Tasted 31st March 2010 UGC primeurs tasting. 2014 Deep and saturated colour; ripe and saturated aromatics; strawberry jam notes; lift; very black fruits and cassis notes; unctuously styled; full and extracted on the palate; ripe fruit but very dry on the finish currently. Needs to meld. [52% Cabernet Sauvignon, 40% Merlot, 5% Cabernet Franc, 3% Petit Verdot]. Drink 2019-2028. Tasted 1 April, 2015 UGC. 89-91? 2012 Deep and saturated look; ripe and sublimated on the nose but impressive concentration; fruit cool with plummy tones and palate very caressing and attractive. Nicely done. Very appealing and forward. Very good wine and drinking nicely already. Drink now-2025. 92 UGC Oct ’14 [Earlier note] Deep and glossy looking; ripe, full; some earth; sweetness and depth; palate is full of material, choca-block; lots of material but tannins not puckering or extracted in feel; remains a little chewy on the finish but potentially very strong. 50% Cabernet Sauvignon, 45% Merlot, 3% Cabernet Franc, 2% Petit Verdot 90-92+ UGC Wednesday April 10, 2013. 2010 Deep and saturated look; blackcurrant aromatics very nicely defined; some resin, liquorice and spices too; tight and pent-up though for this property; inky and intense palate; packed and concentrated; lacks the amazing body of Haut-Bailly and has some tannin on the end and a little warmth from alcohol. Good effort nevertheless. Drink 2017-2030. 92+ MW Institute Nov ’14 [Earlier note] Deep and saturated; very ripe nose; almost honeyed note; submimated and reduced; lots of oak too; very extracted and sublimated style; sweetness; presumably very low yields which give a very inky and sublimated feel to the palate also. Grip here too and chewy, dense finish. Promising in a heavy-hitting way. [45% Canebrnet Sauvignon, 45% Merlot, 5% Cabernet Franc, 5% Petit Verdot] 92+ UGC Oct ’12 [Earlier] Deep and dense colour; thick and sweet on the nose, some minerality but feels very rich; some smoke and blackcurrant notes; palate dense, lots of material and extract; tannic but ripe, though may be a little overdone. Certainly dense and chewy. Tannic at the end. Feels a bit over extracted. Hopefully will settle – if it does 90-92/100 [45% Cabernet Sauvignon, 45% Merlot, 5% Cabernet Franc and 5% Petit Verdot, alc 14%] Tasted 6 April 2011 UGC. 2009 Deep and dark; black fruits, very ripe with toasty oak; some liqourice; ripe, rich and extracted on the palate but oodles of fruit and not at all dry in feel; lots of flesh; needs time to settle; lots of structure hidden by lashings of black fruit; chew to the tannin but plenty of ripeness to them. Big. 2016-2035 94 MW Institute Nov ’13 [Earlier note] Deep and dark; riper, redder more jammy fruits; [little on the jammy side? ]; inky palate; some minerality here too but this is pretty thick and big. Grip and tannin too. On the hefty side but loads of fruit and extract. 91-93/100 UGC Oct ’11 [Earlier] Rouge: Very deep coloured to the rim; fresh and bright fruit; some red fruits and briary notes; very ripe; palate elegant but intense and concentrated with extract and tannin. Very chewy. Earthy elements, good nose and fruit but tannic. [Later] fruit ripe here and cake like; ripe warm feel; good palate entry with roundness, tannic bite at end] 88-90+/100. Tasted 31st March 2010 UGC Primeurs tasting. 2008 Deep and saturated look; inky with lots of red fruits; high octane in the mould of Magrez at Pape Clément; very polished palate with lots of extract and grip; textured and good; big and extracted with chewy tannins but plenty of fruit here and excellent length. 93+ MW Institute Nov ’12. 2007 Deep colour, red at edge; very lifted red fruits, some very ripe qualities; mineral tones beneath; not that complex, some oak resin and also a vegetal streak; red fruits and chew on the palate; quite dense but still that vintage tartness and sourness at the edge. 87/100 MW Institute Nov ’11. 2006 Good depth, quite deep and with legs in the glass; smoky, blackcurrant nose, very attractive, also ripeness and sweetness from oak which gives the nose a bit of lift; nice espresso notes alongside savoury notes and leather; intense, inky palate, very good balance between the considerable extraction and the tannins as the fruit dominates. Palate pretty big and extracted and needs to settle as the wine feels like it had been pushed hard but I think on balance this will work. 90+/100 MW Institute Nov ’10.